After a long day out in the heat and humidity of a New Braunfels’ summer day, there are few things more satisfying than stepping into an air-conditioned home. While we get to enjoy this luxury whenever we please, air conditioning is still a relatively new innovation. Indeed, while Legacy Heating and Air has been providing air conditioning repair for over 30 years, that’s only a tiny part of the short history of air conditioning. During the mid-19th century, Americans began recognizing the need for a way to rapidly cool indoor spaces. In Florida, Dr. John Gorrie, a physician and inventor, believed that if cities could be cooled in some way, that residents would be less likely to succumb to diseases like malaria and would lead healthier lives. To ensure that his patients stayed cool in the Florida heat, he would ship huge quantities of ice from the Northern part of the United States. Shipping ice wasn’t a tenable solution, however, so Gorrie began to play with the idea of artificial cooling. He designed a machine that would create ice using a horse-powered compressor. The technology was flawed and not very reliable, but was important for future air conditioning technologies. At the turn of the 20th century, the idea of artificial cooling was revisited by engineer Willis Carrier. Carrier worked at the Buffalo Forge Company, and in 1902 was assigned the task of solving a humidity problem at a publishing company in Brooklyn. The high humidity in the printing rooms was causing the pages of magazines to wrinkle before they could be shipped to customers. Carrier began experimenting and designing systems that would control the amount of humidity in a space. By using cooling coils, Carrier designed a machine that could either humidify or dehumidify a room by heating or cooling water. He took his design one step further and eventually created an automatic control system. But Carrier’s system was useful beyond just paper mills and he took his patent and formed the Carrier Engineering Corporation, which still produces air conditioners to this day. In 1904, Carrier demonstrated his amazing new air conditioner technology at the St. Louis World’s Fair. His AC unit effortlessly cooled a 1,000 seat auditorium, and for the first time in history, the public experienced artificially cooled air. Quickly, air conditioners found favor in businesses and industries all over the country. Movie theaters began adopting the technology, and moviegoers appreciated the climate controlled spaces during summer months across the country. But these business-sized systems were still too large to be practical in the home. It wasn’t until 1929 that air conditioners were small enough to fit in a home, with the development of a unit the size of a radio cabinet. In the 1930s, inventors at General Motors synthesized chlorofluorocarbon (CFC) coolants, which were the first non-flammable refrigerating coolants. 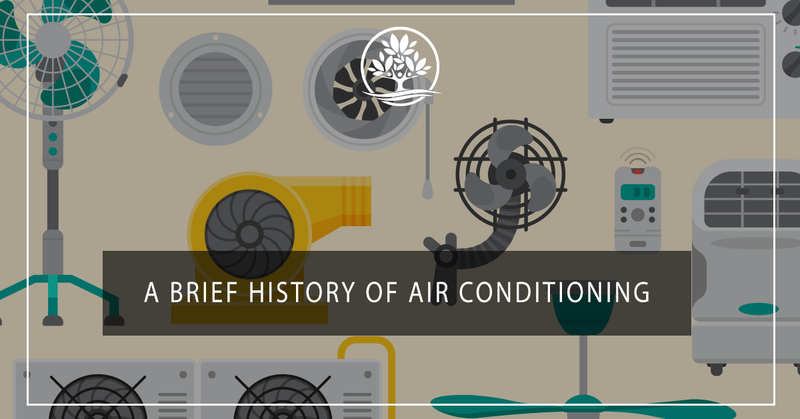 This innovation, along with new designs that allowed AC units to fit on window ledges, made the air conditioner a welcome part of homes across the country. Since the 1930s, air conditioners have gone through dozens of improvements and iterations. 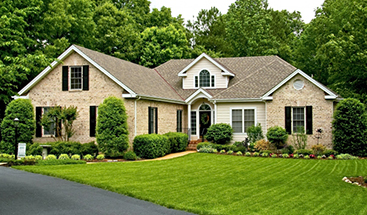 Today, nearly 86 percent of homes in the United States have an AC unit. Because of their widespread use and affordability, cities in hotter parts of the country have suddenly become welcome places to live year round. There’s no doubt that New Braunfels benefits from the use of an air conditioner. While we love that beautiful Texas sunshine, it is nice to have a reprieve from it during summertime. If you want to keep your air conditioner running at peak-performance when you need it most, make sure to schedule your air conditioning repair work with Legacy Heat and Air Conditioning Services. Call today to schedule your HVAC services.